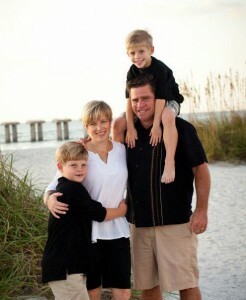 Chris and his family enjoy the relaxed lifestyle of Charlotte County. As a native Floridian, Chris McMillan is a rare breed. Born and raised in Coral Gables on the East Coast of Florida, Chris moved to Punta Gorda in 1999. Because of the low crime, the outstanding school system and the small-town atmosphere in this southwest Florida area, Chris and his wife, Betsy, felt that this location would be the ideal place to raise a family. Chris and Betsy initially bought and remodeled a waterfront home on one of the lovely canals in Punta Gorda Isles, and eventually moved to a waterfront home on the north side of the Peace River. 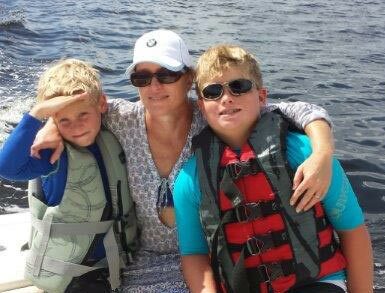 Along with their handsome sons, Sully and Gavin, they enjoy boating, fishing, and get-togethers with the many friends they’ve made since moving to the area. When he’s not selling real estate, Chris is likely to be found spending time on the water in Charlotte Harbor or Pine Island Sound with his wife, Betsy, and their two sons, Sully and Gavin. Besides spending his time as a leading real estate agent in Punta Gorda and Port Charlotte, Chris is an alumnus of Leadership Charlotte, a leadership development program offered to a select group of volunteers in the community. The purpose of this program is to develop volunteer community leadership and to explore key issues that have an impact on our region. Chris also volunteers and has served on the boards for both AMIKids Crossroads and Habitat for Humanity. With a strong reputation for getting the job done, Chris is one of the most respected real estate agents on the local real estate scene. With over 17 years of real estate experience, he goes the extra mile to help his clients achieve their goals. Because the real estate market in the Punta Gorda and Port Charlotte area changes every day, if you are interested in buying or selling a home, you need a professional real estate agent who understands the industry and is positioned to stay ahead of the game. In order to give the best service possible, Chris constantly researches the market and property values. 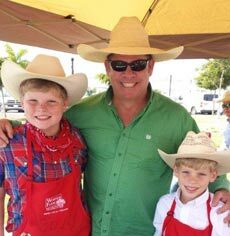 Southwest Florida real estate is his full-time profession and career, and he takes his job seriously. That’s part of the reason he has achieved the distinction of being a multi-million dollar producer and one of the top real estate agents in the Charlotte County Board of Realtors. For the best in knowledge, experience and professional expertise, call Chris McMillan today at 941-628-2602 or by email at chris@hometeamchris.com.